Call us at (412) 831-2100 today. For more information or to schedule an appointment with our Bethel Park chiropractor, call (412) 831-2100 today! Dr. Jim Marcinak is a chiropractor serving Bethel Park and the surrounding area. 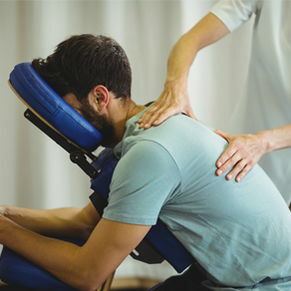 Our chiropractor and the rest of the welcoming team at Marcinak Chiropractic Care are committed to providing chiropractic solutions to address your unique needs, whether you are experiencing back pain, neck pain, headaches, or even muscular tightness and tension. You may be searching for pain relief after an accident, experiencing an injury, or if you suffer from a specific condition like chronic back pain or a spinal condition. Even if you looking to improve your overall health, our chiropractor can help you attain your everyday wellness goals! Visit our testimonials page to find out what our patients are saying about our Bethel Park chiropractor and our chiropractic care plans. 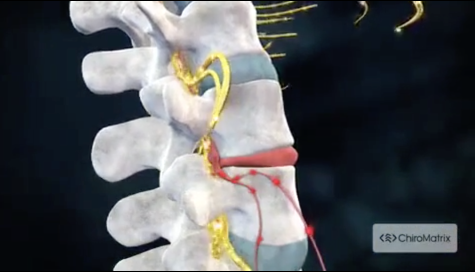 At your first visit to Marcinak Chiropractic Care, Dr. Jim Marcinak will explain how chiropractic care works and give you a full evaluation to see if our chiropractic solutions are a good fit to address your needs. If there is a good fit, we can customize a plan of chiropractic care for your condition and health goals. If you have not been to a chiropractor before and want to find out more, please email us or call (412) 831-2100 to receive the answers to your questions from our experienced team. We also welcome referrals, so we invite you to share our chiropractic and wellness information with your friends and loved ones. New Patients Receive Receive a Free Consultation, Exam & Treatment! There's nobody better than Dr. Jim. It's like going to a chiropractor and holistic doctor at the same time. He has a wealth of knowledge he will share with you. Thank you!! I've never had an issue with my back until about two weeks ago. First thing the next morning, I was in to see Dr. Jim. I was in so much pain I expected a month long ordeal at best. Boy was I wrong. In less than 2 days of treatment, my back was 100% better. It was nothing short of miraculous to me. I was golfing 5 days after the initial injury with no issues. Trust me, if you need help Dr. Jim is your guy. I highly recommend him. Dr. Jim is knowledgeable and friendly. He has helped me with multiple back and neck issues and always knows the cause and treatment for my pain. Dr. Jim has treated me, my husband and my daughter. He also has provided treatment during 2 pregnancies. Melanie is also amazing and wonderful as the receptionist. She is helpful and accommodating when scheduling appointments. Thanks for all you both do! My back finally doesn't hurt after 2 years of chronic pain. I felt 100 times better after one visit. Definitely will be back, thank you Dr. Marcinak!